With a commitment to quality construction, top features and proven technologies, Ritter is the natural choice for dental compressors and vacuum systems. 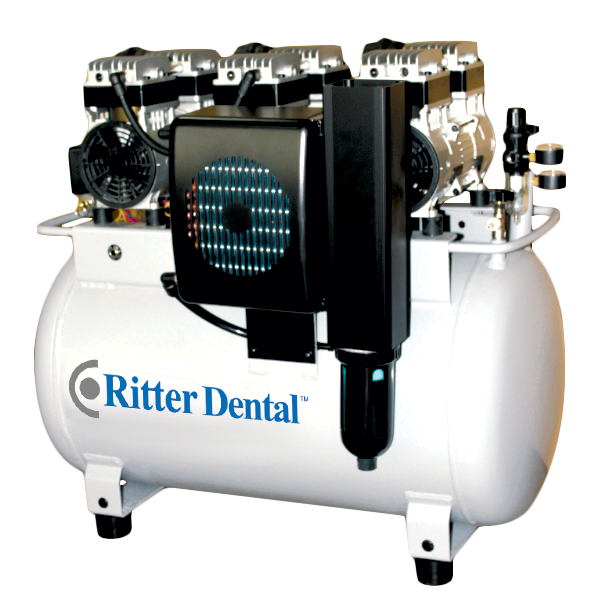 Ritter’s extensive range of compressors for dental offices covers any air requirement. Whether your practice has one or more dental units, we offer compressors built to stand up to rigorous daily use. They are available in compact sizes and feature reliability with minimal maintenance and lower noise levels. Let our high-performance compressors supply completely oil-free air. We also have silent options, which allow for a more relaxing patient care environment. Choose from a full range of competitively priced equipment that is constructed for continual use. Tank volume, air dryer and silent cabinet options are available, along with filters for sterile air and medical air. 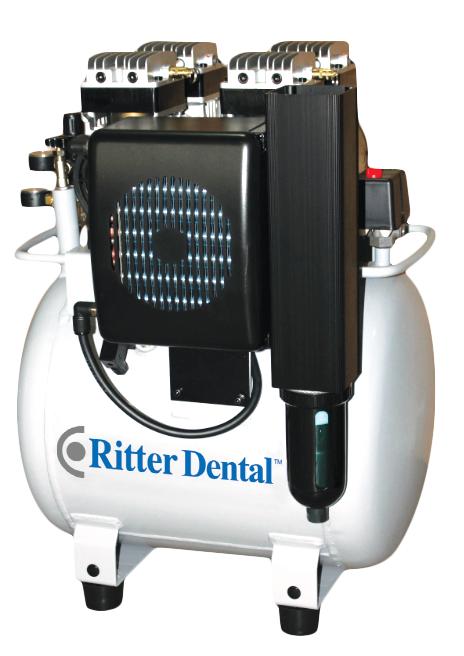 Experience the reliability of a Ritter dental compressor! Looking for a combination power system to meet your requirements? 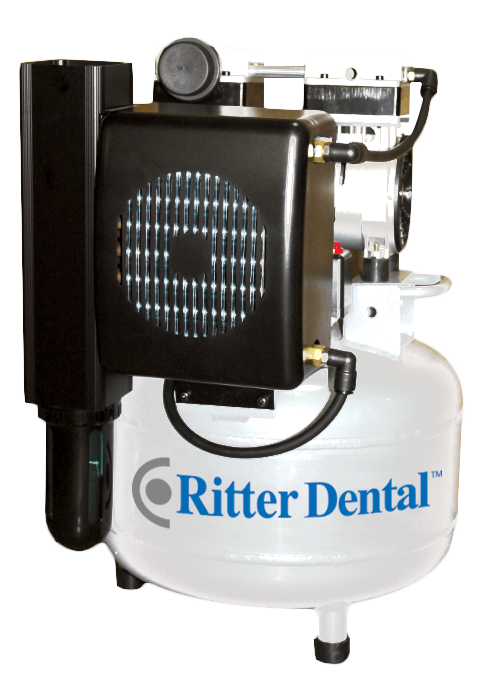 Ritter Dental has combined a compressor and suction unit in one metal cabinet. Benefit from having a dental air compressor and suction system conveniently installed for efficient placement and use. Quality, reliability and value are all yours when you order compressors and vacuum systems from us today!